In our country most people are Muslim, many are Catholic, some are Protestant, and a few—like my father – are “animists” (which means they worship idols and sacrifice animals). My father used to kill chickens and other animals and put their blood on the altars of the idols he worshipped. Ancestor worship, dancing with masks, and demonic activity were part of my childhood growing up. When I was 12 years old my brother, Daniel, who was 18 at the time, went to live with our uncle for a while in the city. Our uncle was a Christian and he shared the gospel message with my brother and my brother got saved. He came back home to live and told us that he could not participate anymore in the idol worship and false religion because he had given his life to Jesus now. My father was very angry at him and threw out his Bible and other stuff and would torment and hurt him, especially when he was drunk – which was often. My other brothers and I tried to talk Daniel out of being a “Christian” and get him to be like us, but he said he couldn’t do it. He loved Jesus and wanted to serve Him, no matter what happened. He kept talking about Jesus coming back soon and he and other Christians would be “raptured” up and the rest of us would be left behind and die and go to hell. He didn’t want that to happen to me. He explained about the gospel and being saved. Then he took me to his church. I talked to the pastor there and told him I wanted this salvation that my brother had. He explained to me from the Bible how I needed to give my heart to Jesus. That day I knelt and prayed and became one of Jesus’ followers. From that day I knew that my name was written in the Book of Life forever and can’t be erased. I no longer participated in the idol worship and practices and my father began to torment me as well as my brother. Despite his persecution, I started attending church and learning more about God and Jesus. It was at that church that I got baptized and my name was changed from Bawindsom to Joseph, to symbolize the changed life in Christ. Soon after that I was given an opportunity to go to school, which I really wanted to do. I did well and was chosen to go to a private school in a bigger city. The government paid for me to go. That school was run by a missionary from France and all through high school I had some good guidance and help spiritually. After high school I joined the Burkina Faso military and was sent to France to get some military training. There I lived with a Christian family who also helped me grow spiritually. 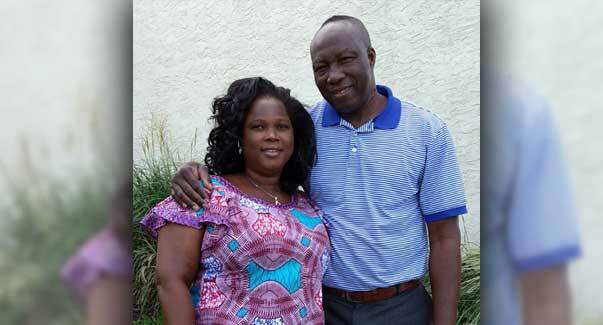 When I returned to Burkina Faso I met my wife who had grown up Catholic but later became a believer in Jesus as well. Two days before my father died, he also trusted in Jesus and was saved. My mother and all my siblings are now Christians as well, Praise God! In 2007 I moved to the United States, where my older brother, Daniel, lived in New York, to get a better job to help support my wife and children. The Lord led me to Lehigh Valley Baptist Church a few years ago and I have learned so much here and grown spiritually. There is no purpose to life without God. Jesus is my everything!